High Qulity LCD Touch Screen Digitizer Glass Assembly for iPhone 6s 4.7 inch.Splecialist in iphone screen business for years.Replacement Accessory is the best. 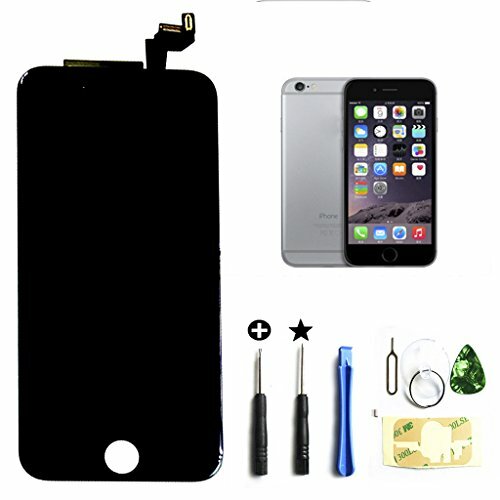 * iPhone 6s Outer Glass+LCD Screen+Touch Digitizer Panel Preassembled+free repair kit. 2. Do not install the item immediately after received . We will send you YOUTUBE link through Email please remember check your Amazon message first. 3. Please note that there are many screws when you replace the assembly.They are different sizes and length. You'd better to mark them Or it will be easy broke the screen if you put the screw in wrong place. We are responsible for any damage during transit or quality problem.Buy With Confidence. If you have any questions about this product by ZTR, contact us by completing and submitting the form below. If you are looking for a specif part number, please include it with your message.